Home » Adventure » Sample the Sierra—Your Last Call for Summer! Sample the Sierra—Your Last Call for Summer! When was the last time you had a chance to aimlessly meander through a local park with a glass of wine or beer in hand? To imbibe to your hearts desire while nibbling on decadent, locally sourced hors d’oeuvres? To make purchasing decisions whilst under the influence of vino—decisions that you will later on, for once, not regret. It’s commonly understood that Labor Day weekend serves as last call for summer. And we all know happens when last call arrives. You scramble—ordering two rounds of drinks and then deliberate what to do after the bartender gives you the boot! But this summer, ye need not scramble! Sample the Sierra will be holding their annual farm-to-fork festival this Sunday at Bijou Community Park. From noon to 5 p.m., you can enjoy your last call for summer with live music, food, and wine. Bounce from booth to booth to partake of locally sourced culinary creations, each of which will be paired with the appropriate libation. 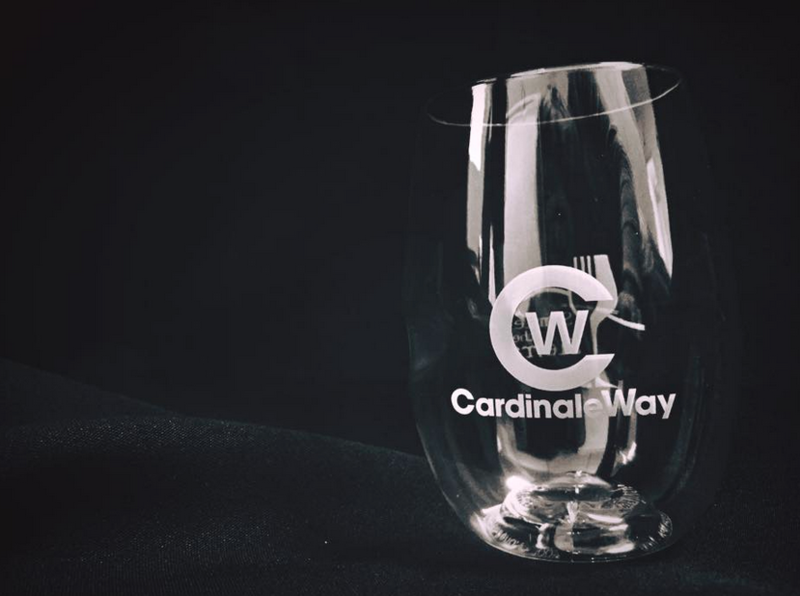 You’ll be provided one of these fabulous wine glasses, which also happens to be wino-proof (a.k.a. shatter-proof)! Once you’re merry and feeling financially frisky, head on over to the many artisanal booths. There will be art, jewelry, apparel, skin care products, hand-crafted goods, and even a massage booth where you can get a rub down right then and there! 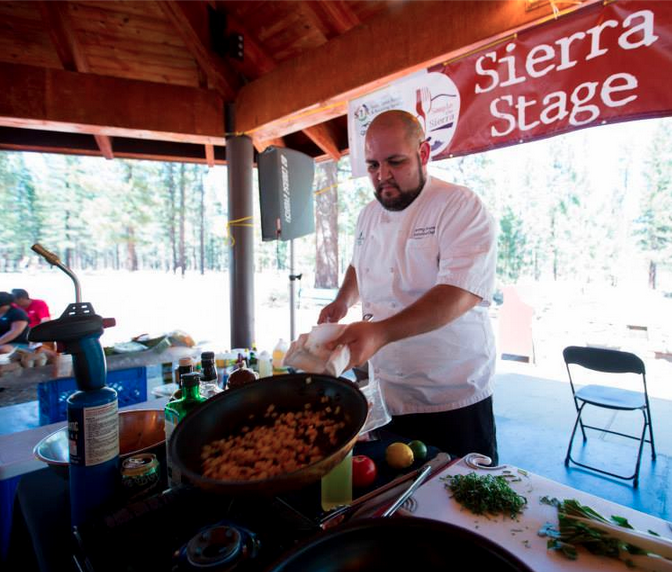 Be sure to cheer for your favorite regional chef at the Sierra Chef Challenge as they battle to create the winning dish using a mystery box containing locally grown ingredients. What’s in the box? Who knows! What will they concoct? You’ll have to be there to see! The coveted titled will be awarded based on creativity, presentation, and taste. The best part? You’ll have a chance to sample the final products of the challenge! To add to the fun, we, The Tahoe Journal, will be rolling out the red carpet and breaking out the props for a fancy photobooth! 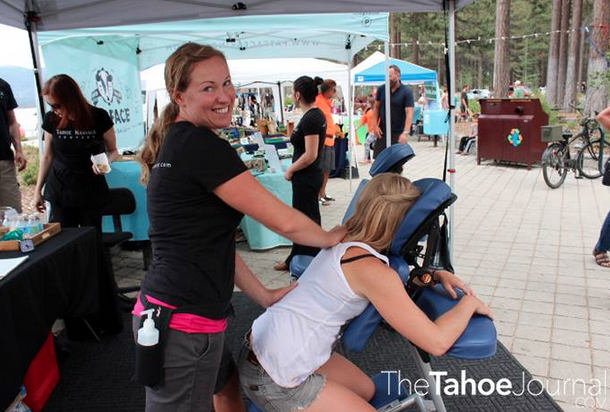 So scramble on over this Sunday and join us as we celebrate the finest Tahoe has to offer in art, food, and wine! Just because it’s last call for summer doesn’t mean it’s too late for a taste of the Sierra Nevadas! 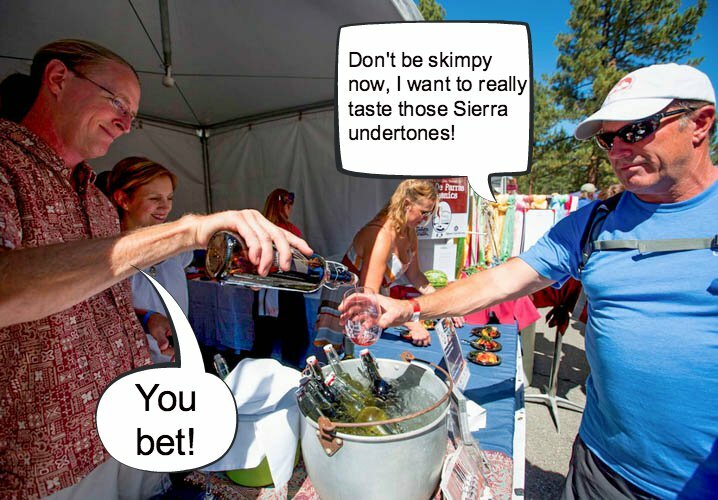 For more info on the sponsors, participants, and the overall event, head on over to www.samplethesierra.com! To purchase your tickets NOW, click on the link!